Educated at the Ritterakademie in Dresden (1750-1754) and the University of wittenberg (1754-1757). From 1761 to 1763 he lived in Italy and after his return he worked for Leopold Friedrich Franz of Dessau. From 1787 to 1789 he was employed by Wilhelm II of Prussia in Potsdam and Berlin. After that time he lived and worked in Italy, Weimar, Gotha, Kassel and Karlsruhe. He designed the Orangerie and the Hoftheater in Dessau. 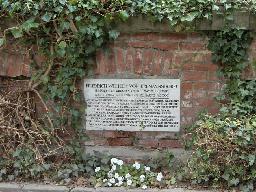 The grave of Friedrich Wilhelm von Erdmannsdorff at the Alter Friedhof, Dessau.